Billing for water, sewer and solid waste services are sent on a monthly basis. Payments can be made online, by direct debit, by mail or in person. 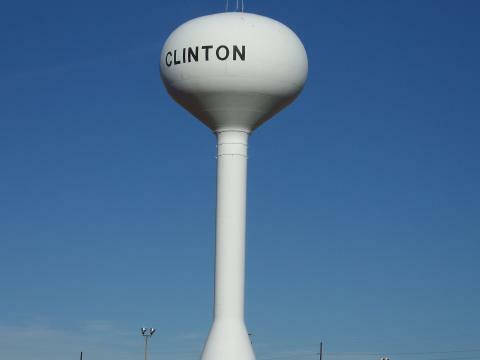 Effective immediately 3/8/2019, the City of Clinton will no longer mail late notices for Utility Bills. The regular payment for city services is due on the 15th of each month. Utilities will be disconnected if not paid before the 25th of the month, or the next business day if on a weekend or holiday. The disconnection date is stated on the Utility Bill in the Special Message area. A non-payment service charge of $25.00 will be added to the delinquent bill on cutoff day. Account balance must be paid in full before services will be reconnected on the next business day following payment. Each Account Holder is allowed two arrangements each year to help at difficult times. The arrangement form must be completed and signed in the Utility Office before cutoff day. It allows the payment to be extended to the last day of the month without a penalty. The City offers multiple ways to pay the Utility Bill. *ACH Bank Account Draft – Sign up in Utility Office, drafted on 15th of month. *www.clintonok.gov – Click Pay Online for Credit/Debit card payment. *City Hall – In person payment at the Utility Office or Drive Thru, 8:00am to 4:45pm; or by mail. Notice: The link above is the City's only approved online payment method. If you use other third party services, additional surcharges may be assessed to you account for processing, and payments must still arrive at City Hall on or before cycle due dates or they will be considered late. Please contact the utility office if you have any further questions. ** If paying online, payments must be received before 5:00 PM on the 15th to prevent incurring late charges on your account. To mail a payment, make checks payable to the City of Clinton and mail to City of Clinton, P.O. Box 1177, Clinton, Oklahoma 73601-1177 (make sure your account number is noted on the check). To pay in person, go to City Hall, 415 W. Gary Boulevard. City staff also monitors accounts for any unusual water consumption levels and will help to determine if any unknown water leaks are present. If you suspect you have a leak, city staff can schedule an appointment for leak detection. To update or change billing addresses, or for help regarding your bill, call (580) 323-0217.